Now before you start saying, “What? They’re reviewing another cookie?” let me simply state – there is virtually no chance that I will ever turn down the opportunity to review a cookie. I love cookies. If it is sweet and delicious, then it gets an “edible” mark in my book and I will happily share my thoughts with you all. The fact that the Newtons Fruit Thins have 8g of whole grains and just 140 calories per serving (per 3 cookies) – well, that just makes my health-conscious side feel better. For more than a century, Newtons has been one unique cookie – wholesome goodness made with real fruit and a taste all its own. Now, with the creation of Newtons Fruit Thins, Nabisco is breaking the mold again with a cookie unlike any other with real fruit in unexpected combinations packed into a thin and crispy cookie. I have never had a cookie that tasted like the Blueberry Brown Sugar Newtons Fruit Thins. 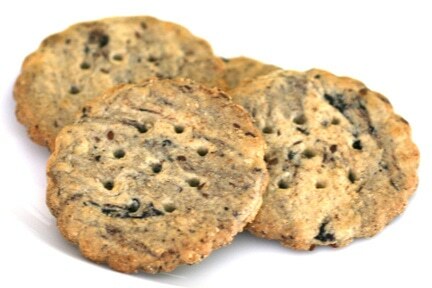 I have had blueberry muffins that tasted like the Blueberry Brown Sugar Newtons Fruit Thins – but not a cookie. The Blueberry Brown Sugar Newtons Fruit Thins taste so much like blueberry muffins, that I would happily eat them for breakfast or as a snack. 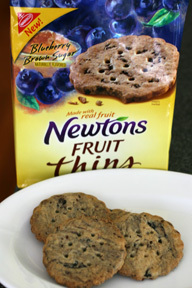 In fact, I think I like them even better than the muffins because I love the crunchy texture of the Newtons Fruit Thins. Newtons Fruit Thins are baked with real fruit, which is proven by the actual pieces of blueberry that I can taste while I eat the cookie. They have just the right amount of brown sugar to make it sweet but not too sugary. 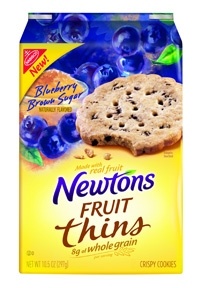 Eating the Blueberry Brown Sugar Newtons Fruit Thins reminds me of eating the crispy crust of a blueberry scone. The Newtons Fruit Thins are also a great size – they aren’t too small or too large, but a nice in-between size that is about 2.5″ wide. In addition to having 8g of whoe grains, Newtons Fruit Thins are made with “real” ingredients – such as flour and sugar. They’re also naturally flavored; dried blueberries and brown sugar are even listed as ingredients! Thanks Denise! It’s good to hear that you find the reviews useful – sometimes I wonder, LOL! If you do pick them up, let me know what you think! I didn’t know these existed! I will be looking now, though. Newtons are awesome. Hi Jayne – Thanks for stopping by! The Newtons Fruit Thins just came out so be on the lookout for them. I haven’t tried the other flavors yet, but the Blueberry Brown Sugar definitely doesn’t disappoint. I have tried the Chocolate Raspberry and Cranberry Citrus Oat. As a Type 2 Diabetic I decided to try them as the carb count was pretty low per cookie. I was very pleased with the taste of both!! I want to try the Blueberry Brown Sugar but cannot find any in my part of North Carolina. Actually it has a little tang to it , which I like. So far they’re batting 1,000 as far as I’m concerned. A client of mine offered me these cookies while I was training her dog. She had them on a plate (Blueberry Brown Sugar & Chocolate Raspberry). I was starving so I took her up on the offer – two bites into the Blueberry I was in LOVE! It does taste just like a blueberry muffin with crunch added! When I finished up and was ready to leave I asked her what kind of cookie it was, she showed me the bag – I was thrilled when she offered me another, I snagged the chocolate raspberry one and like it equally. Then headed straight for the grocery store…6 in 3 days looking – no luck, gaping holes on grocers shelves – apparently there was a coupon :(. I even placed a BOLO on my Facebook wall in search of…finally 5 days later I found the Blueberry variety restocked at Food Lion (I’m in NC. 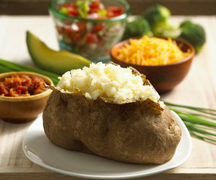 – central – Food Lion and Lowes Foods carry them, just gotta find them stocked. So glad to hear you liked them as much as we do! I’ve heard a few stories of certain varieties running out – but it sounds like you’ve got a lot of Newton Fruit Thins eaters in your neighborhood. Good luck in your search! I finally got to taste the Blueberry Brown Sugar!!! 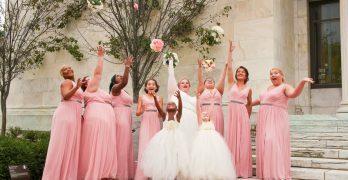 My favorite by far!!! Wal Mart here in Thomasville finally has them. I saw these a few times, and finally picked some up as a more healthly snack than a candy bar. Delicious. Also, a co-worker of mine doesn’t eat eggs, so we are always on the look out for egg free cookies. He really enjoyed them!